Note: Cover art not final. Stay tuned for updates! 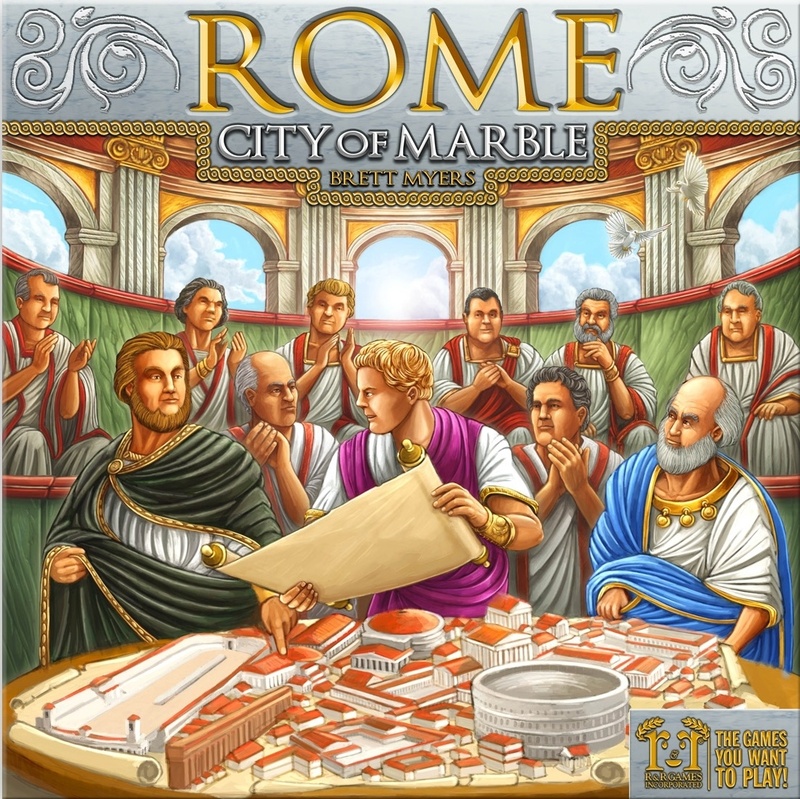 Now that ROME: CITY OF MARBLE has been announced by R&R Games, I can start talking about it a bit. Over the next few months I’ll post more about the game but for now, I’ll begin at the beginning: start player rules. I wanted a thematic start player rule for ROME: CITY OF MARBLE that would make people smile and break the ice, and maybe establish a little lighthearted rivalry to get players in the right frame of mind. To that end, I didn’t have to look much further than the foundation myths of Ancient Rome. As legend has it, Rome was founded by the twin brothers Remus and Romulus who had been set adrift on the Tiber river to die, were saved by a series of miraculous interventions, and were famously found and suckled by a she-wolf. So, there I had it! The first citizens of Rome had been raised by a wolf, and the first player in ROME: CITY OF MARBLE would be the player “most likely to have been raised by wolves.” That ought to elicit chuckles (or groans). What is your favorite Start Player rule?